Conduit developers High Voltage mustn't have got the memo. E3 is next week, not this week. Regardless, they've chosen today to announce their latest project, Gladiator AD. 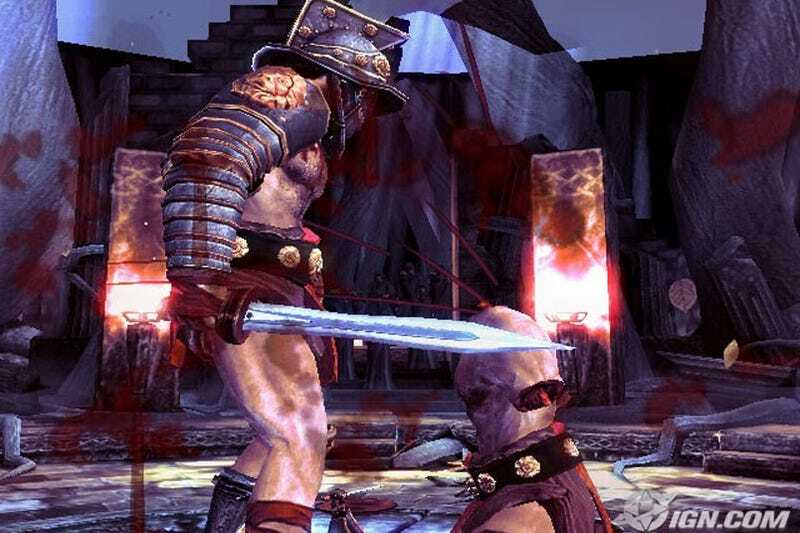 Described as a "hybrid between 3D Fighting games like Bushido Blade and Boxing games like Fight Night", Gladiator is a 1v1 fighting game set in ancient Rome, where you - as a gladiator, duh - have to punch, kick, slice and dice your way up the gladiatorial food chain. Like the Conduit, Gladiator looks amazing for a Wii game, and will also be fully supporting the new Wii MotionPlus accessory, with the angle of your blade during an attack determining where it strikes an opponent and what kind of damage it does. As you can see above, High Voltage aren't afraid of a bit of the old ultra-violence. At the moment, it's slated for a Q1 2010 release.